Big Fat Piggy Bank: Adopt a Dog? Free Pet Food! Adopt a Dog? Free Pet Food! Pedigree is offering an awesome deal for those who adopt a shelter dog. I am a huge advocate of adopting your pet from a local shelter. Most shelters are overflowing with wonderful pets right now, many who are innocent victims of the foreclosure crisis. All my pets are resuces and they are all wonderful! 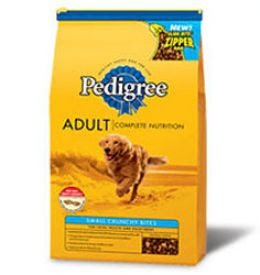 Right now if you adopt a dog from a local shelter Pedigree will give you a month's supply of free dog food! Go HERE to get the details and to download the form you'll need.